Hands down, my favorite sippy cup so far is the Pura Kiki Sippy Cup. 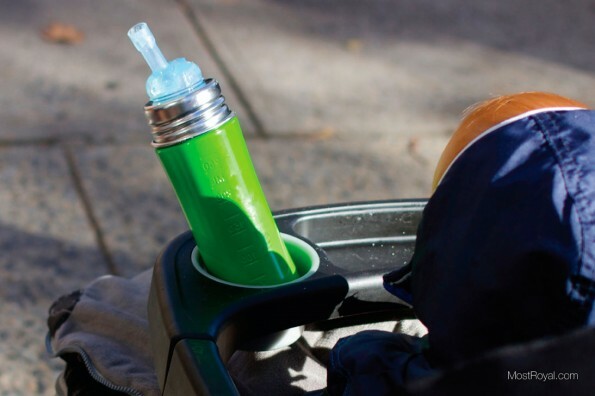 Unlike almost every other sippy cup on the market, this one is not made of plastic. Instead it has been crafted from stainless steel and silicone, so no fears of BPA or other weird chemicals. Pura sells insulated and uninsulated versions, and I currently have the uninsulated version. We primarily use the silicone straw attachment. I saw several of my son’s friends with this cup and they all seemed to like it (as did their mom’s) so I figured I would take the plunge and purchase it for our son. He took to it right away and hasn’t had any issues with it. The construction is nice and simple and the straw has a basic valve that is opened by pressure from your child’s mouth or suction. It does not leak. The closest this gets to a leak is when some water is left in the top of the straw and it gets bent over. When released it will spring back with a tendency to spray tiny droplets of water everywhere. I wouldn’t consider that leaking more like a little spritz, and this doesn’t happen very often. 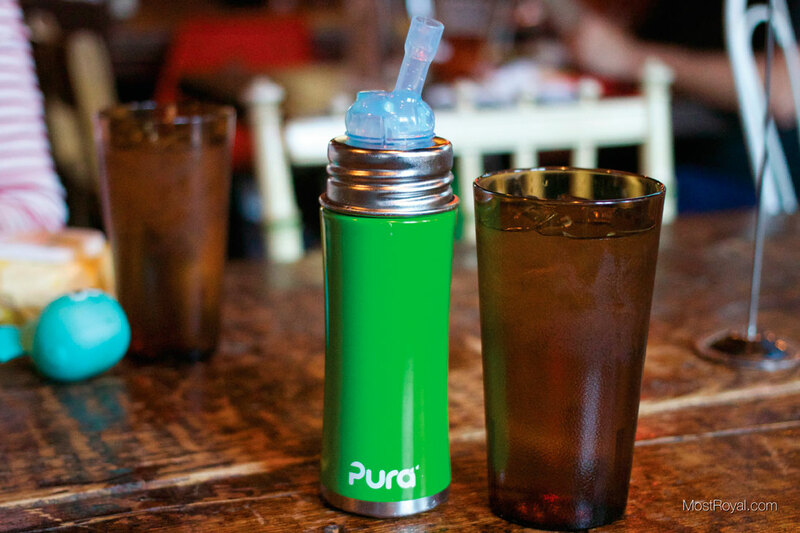 The Pura is a tall sippy cup so it doesn’t sit perfectly in cup holders. Not a deal breaker. I will admit that if our son turns the cup upside down and shakes it and pounds it on the floor, yes, some water will come out of the straw; this is something I would expect from any cup with a straw in it. Oh, and this can take a serious beating thanks to the stainless steel construction! My only major complaint with this cup is that the cap (also silicone) does not fit over the straw tight enough. I can fold the straw over, but it still doesn’t stay on very well. While I don’t always need a cap, I like to have it if I know we will be going someplace where the other kids are going to be attracted to his cup and especially if I think it might get dirty. I would like to be able to cover the top better. The only other note I would give is that because of the steel construction the cup is heavier when compared to plastic cups. Especially when the Pura is filled with water. Over the several months he’s had it our son has never had an issue carrying the heavier weight. I mention it for the sake of honest reporting. I give this sippy cup the MOST ROYAL seal of approval and 5 out of 5 stars. While it isn’t the cheapest cup on the market it is the best that we have used.